100 days of art, or gratitude or…. There certainly is a trend these days- 100 days or photos, or joy, or happiness or- well, you pick one. It’s an interesting trend, and as usual, I am not typically a trendy sort of girl. 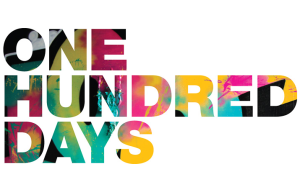 However, there is something to be said for declaring the next 100 days to be lived on a higher level. That said, It’s July 1st. 100 days from now will be October 8th. That day has great meaning for me- It would have been my parents 54th anniversary. So, guess who is buying into the next 100 days of….? I believe that I have already invested in this idea of “higher living”. I am trying diligently to take care of me, physically, mentally and spiritually. I am working on personal success, both creatively and in business. I appreciate what is around me (My hard drive is FULL of photographs that represent that idea), I try to give back and well, while it’s true higher living seems to take a lot of energy- it’s also true that the feeling and satisfaction cannot be beat. So, that inspires me to ponder- I am not certain you EVER get to the “top rung” of the ladder of life. So perhaps I should always seek the next higher step. Do we ever really “arrive”? So officially- I am declaring the next 100 days to be an effort of higher intentions. Perhaps this is my mid year “new year’s resolution”. This is what I do know… the last few years have been a time of great loss for me. I have lost both of my parents and countless others. Important people, people that have inspired me, loved me and made me feel special. If nothing else this affirms that tomorrow may never come. How sad would I be if I continued to “wait” for retirement, or the summer, or the weekend or.. whatever to do what I want? Now I am not at all suggesting that all bets are off and I am going to give away every dime I possess and live in a one room house so that I can be wild and free (although that would be interesting!) What I am suggesting is that I live on a higher level. Do more of what I am compelled to do, procrastinate less, allow myself to be less trapped by the rules, and appreciate the moments more. let the 100 days begin! I will do my best to post my progress.